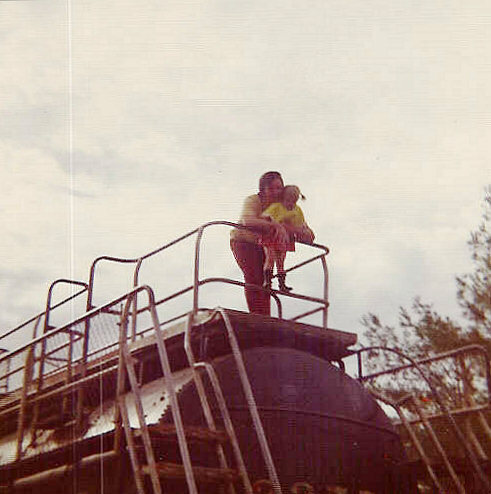 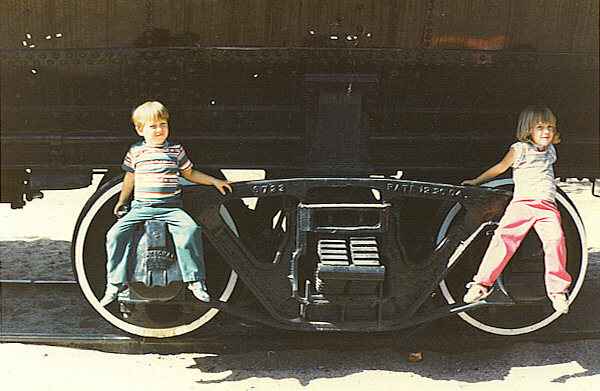 This is my dad and I on the train in 1974. 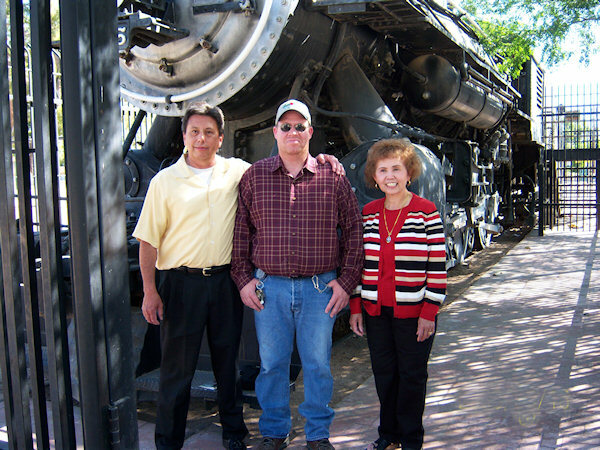 (Dan Weatherford and Crissy Weatherford-Adame). 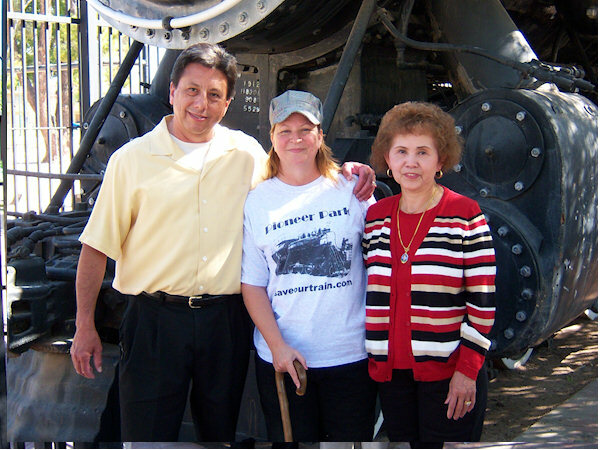 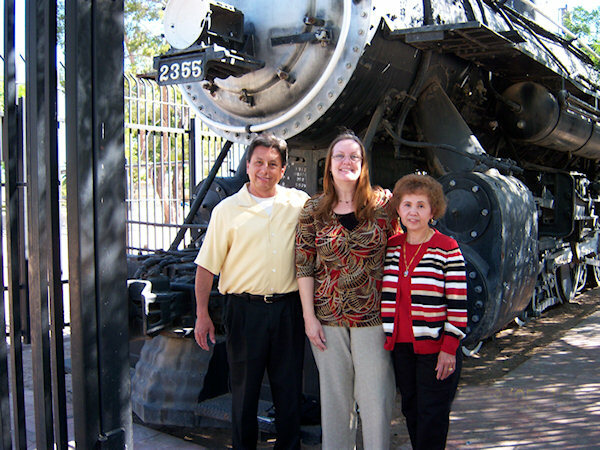 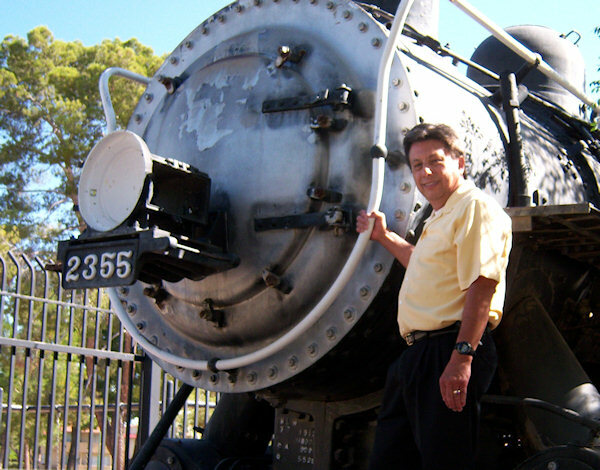 I have such good memories of visiting the train!!! 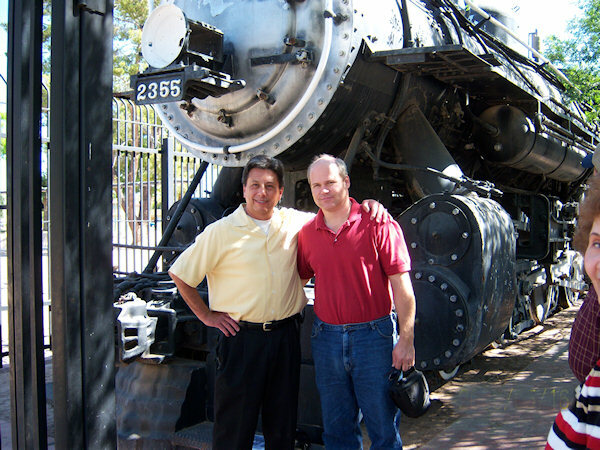 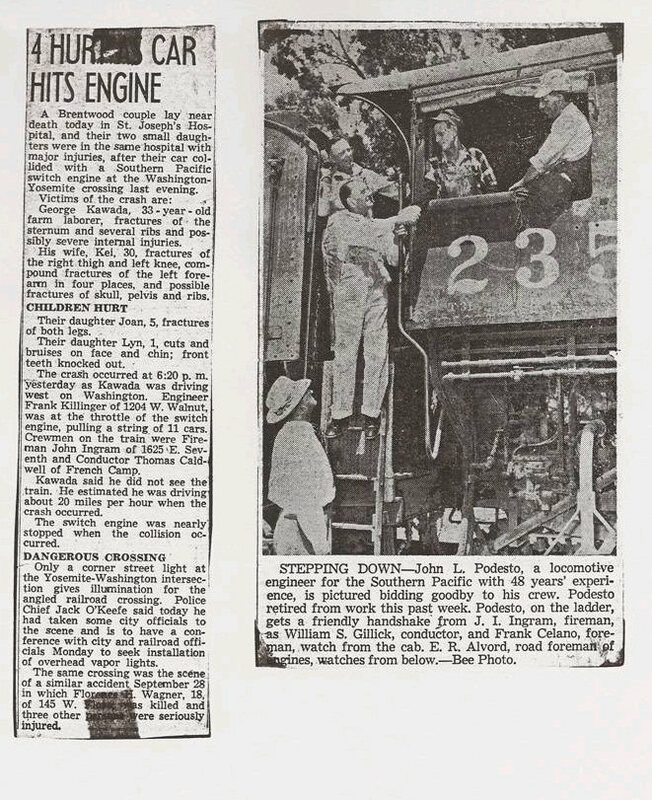 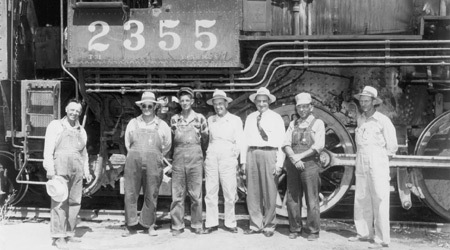 John Ingram's (left) father was the enginner on the train. 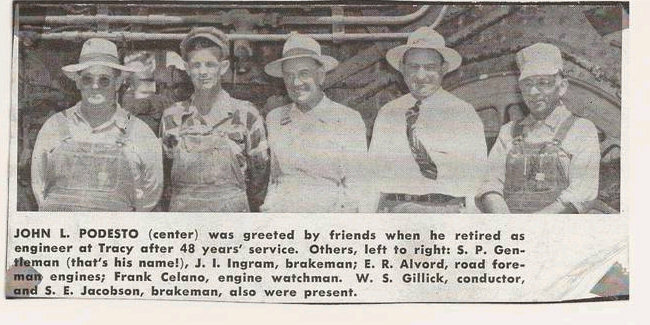 HIs father is 3rd from the left in the photo directly above.